Now you can Link-up your Smartphone device's Internet Connection with your Computer and Laptop and use them as WiFi Internet modems without having any WiFi hotspots, extra data plans or costly Air Cards. Tether is an application which allows users to have full Internet access on laptop anywhere by using smartphone's data plan. Tether offer its services for BlackBerry, Android and iPhone Smartphone devices, owners of these three devices can connect their device with any laptop or computer and can create WiFi connection without any WiFi hotspots area. 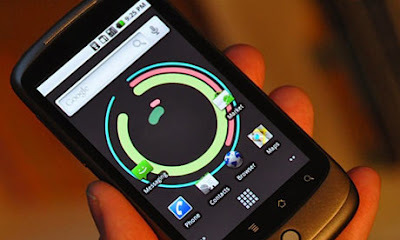 Tether is an application that just runs directly on any BlackBerry, Android and iPhone Smartphone devices. This means users can access the internet anywhere, just like they could with an air card. Even if they're stuck in the middle of nowhere with no available Wi-Fi hotspots, Tether will work through their smartphone's data plan. The biggest advantage of Tether app is its cheap price. Tether normally charges its users $30 a year for being able to turn BlackBerry, Android or iPhone into your own Internet connection for your laptop or computers. That's a huge savings compared to what wireless carriers charge for the same service, which is between $20 and $30 a month. Tether is giving new users an even better deal. You can sign up for Tether App to use the service for just $15 for the first year. Tether Application is very user friendly and can be used in any BlackBerry, Android, iPhone or iPad devices. Users can connect their devices with either Windows or Mac PC's or Laptops. Tether's new version is purely based on HTML-5 and creates a completely wireless connection over AdHoc. If you too wanted to try Tether App service than you can do it by visiting the following official mirrors.